Having an efficient fire alarm system that meets the latest building code	requirements is crucial for the safety of your commercial operation. Without	a properly working alarm to warn you of fires on your commercial property,	you could quickly lose everything you worked so hard to acquire. Furthermore,	you and others could be placed in serious danger. Make sure you have the	protection you need! 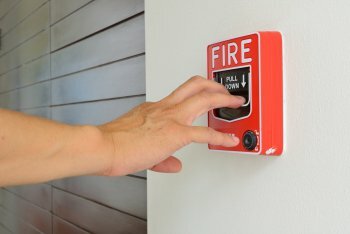 At Capital Fire Protection Co., we install systems that use	the most up-to-date fire alarm technology. Our Central Ohio commercial fire protection team also provides a wide	range of other services in addition to installations! With our	more than 50 years in business and our top-quality systems, we are the company to turn to for all of	your fire alarm needs. Contact us today at (614) 279-9448!